Mega Sale! 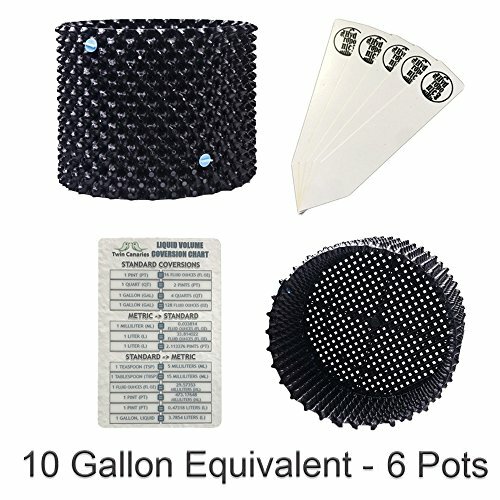 Save 24% on the Superoots Air Pot Aerated Pruning Garden Plant Container + Twin Canaries Chart & Stakes - 10 Gallon Equivalent - 6 Pots by Superoots at Tulips Orchids. Hurry! Limited time offer. Offer valid only while supplies last. A good start is critical in growing a healthy plant. The 1L (.3 gallon) Air-Pot is the perfect way to germinate seedlings or for potting cuttings.